Today we’re going to discuss some more advanced musical topics. But don’t worry, today I will cover the basics of these advanced topics, so even a beginner will benefit from this article. Keep reading until the end, because I have a free set of backing tracks for you! We’re going to talk about harmony in music. Harmony basically means playing multiple sounds at the same time while making sure they still sound good together. We achieve this by learning about chords. This is an interesting subject. You need to know about harmony if you want to play with other instruments. 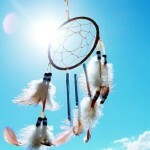 When we play Native American flute, we play single notes that create the melody. Many instruments can play just that, single notes. Other instruments can play a couple of notes together. And a couple of “single note” instruments can also play together, playing different sounds. Simple music is made by playing the same notes that create melody. 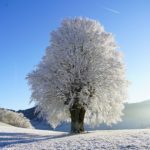 Complex music – like popular music you hear in radio (or, well, Spotify, it’s XXI century, right? ), film music, music in games and so on, is created by utilizing melody and harmony. Harmony basically means notes that are played at the same time and sound good. And notes that are played in such fashion are called the chords. If you want to create complex music with Native American flute, you can do so with harmony and chords. This means you play the lead melody, and someone else provides an accompaniament – either simple in form of simple chords, or complex, but still using very specific chord notes. Native American Flute, as Odell Borg said, is considered to be a recreational instrument. So I want to cover some harmony basics while not scaring readers away with complex stuff such as intervals or semitones. Basically, when you play on your NAF, you play notes. While you’re you doing so, another person can play different notes – harmony in music is all about making sure these notes, when played at the same time, sound good, or pleasing, to the ear. We can play notes that do not sound well with each other and it’s fine, but that’s different subject. There are different types of chords: major, minor, augmented, diminished. Each of them is a set of different notes. Together, they can sound in various ways, invoking moods and emotions. For example, major chords generally sound happy and positive, while minor chords generally sound sad or introspective. Through proper use of chords, musicians invoke various emotions and feelings. I can play a Native American flute and use a major chords accompaniment to create a happier, more positive tune. Or I can play the NAF, and use minor chords accompaniment to create a sadder, more introspective tune. It sounds positive, happy. Now, let’s listen to A Minor chord, made of A, C and E.
It sounds sad, don’t you think? Fun fact: the secret is the middle note, so called “the third”. If the third is three semitones apart from the bottom node of the chord, it makes the chord minor. If it’s four seminotes apart, it makes the chord major. 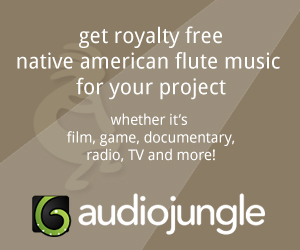 Where does Native American flute fits in all of this? Basically, whenever I play the chord, I want to play a melody upon this chord, that begins with one of the notes of this chord. So if I have C Major chord, I want to play any of these notes first: C, E or G, and then continue with the rest of the melody. Basically, for the melody to stand out, it should be played in higher register than the chords. Let’s listen to a simple melody with simple chords, played on piano. You can hear each couple of melody notes, a new chord is played. Changing chords is called chord progression. 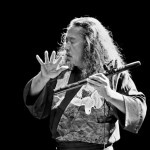 Of course, not every Native American flute can play these notes. That’s why both musicians – the one playing the flute and the other playing accompaniment, need to discuss what is the key of the flute, what notes it can produce and what chords should be used. Let’s say you play with a friend, who plays a piano or a guitar. This person plays chords. Each time a chord is being played, three different notes are played (when your friend uses triads, meaning chords with three notes in them). Earlier, you might have talked with your friend, so he knows what key your flute is in, and what scale you will be playing (minor pentatonic, for example). Let’s say, you play minor pentatonic in the key of A. Your friend now knows that he or she has limited number of chords to choose from. Because in the perfect world, he or she should use only the chords that are the chords of this particular scale, and particular key. This means all the chords should contain only the notes of the scale you will play on your flute. Of course, your friend can play other chords as well, chords that are outside the scale and with a bit of practice, this can work, too. But that requires some planning, which we call composition, and documentation, which we call sheet notes :). All of this happens for simple reason. When the chord is played, you should play, on your flute, one of the notes of this chord. When this happens, we have harmony :). It doesn’t really matter for now which note you will play and what notes will follow. Our ears and brain are wonderful, but they’re not perfect. Thus, if you play one of the notes of the chords at the same time as the chord is being played, and then, while the chord still resonates around the room, you play different notes (a melody), our brains will perceive this as harmonious music. What in case when your friend decides to play a chord outside minor pentatonic scale? Well, it’s not the end of the world. This chord still requires at least one note that is the note of the minor pentatonic scale and this will be the note you will play on your flute. This is where composition comes into play. 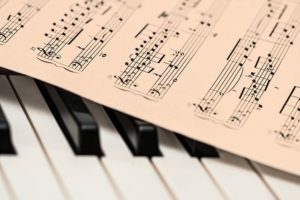 You write down the melody and accompaniment using music notation, and of course that means you’re planning ahead: what will the melody sound like, what chords will fit to it, and how will they be played. That’s basically it – harmony. If you want to start composing music for Native American flute utilizing harmony, you should read a couple of books on music theory and composition. These books, which are my personal favorites, will help you understand chords, forms and scales (please note these are affiliate links, you’re supporing FluteCraft by shopping on Amazon). 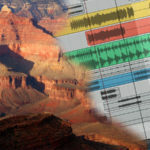 With proper knowledge, you will be able to create very complex music, either by playing and recording other instruments, or by using computer software. There’s a lot of knowledge to learn, and I don’t want to throw everything at you at once, so for now, we will simplify things. I’m going to discuss chords that fit well for your flute in the key of F# – it’s one of the most popular keys, and you may have one. The obvious chord to play here would be F# minor, because it is made of three notes: F#, A and C#. All these three notes can be played on Native American flute in the key of F#. But this flute is not limited to sad chords. You can also play A major chord, which is made of A, C# and E notes. All these notes can be played on Native American flute in the key of F#. Now, listen to a simple chord progression I have made for this particular flute key. Every time you hear the piano play, I play different chords. This is called “chord progression”, which basically means that as the song progresses, I change the chords to create a musical idea. Now that you’ve listened to some chords, let’s try a melody. I post it below to listen and then again as a simple tablature. And now the tablature. Practice it without any background music first. It’s quite simple. Tablature for simple melody above. We can expand it further, and make the piano background more complex. The chords are the same, and the melody is the same, but we’re adding additional elements. Again, just take your F# NAF and start playing. Experiment with different melodies. Here’s a small list of flute keys and chords that fit this key well. These short names of chords are all you need. This is how we call these chords, and every book or on-line website will have these, so you can find a chord by its name, and then see what notes you should play. 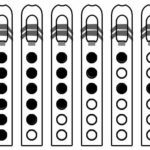 Flutopedia have some interesting pages about chords for Native American flute, like the one for guitar. And the internet is full of piano chords or guitar chords diagrams. Finally, I’m pretty sure if you have a friend that plays piano or guitar, he or she will explain chords and playing together much better that I can :). There are some nice backing tracks for various keys which you can buy on Amazon (aff). Basically, the melodies have been composed in such way, that as long as you play the flute the songs calls for (such as F# for the first item in the list), you won’t have problems figuring out and improvizing wonderful melodies. If you’re unsure and just want to try something for free, then below you will find a link to download free piano backing tracks for your flute in keys of A, G, F#, E and D. A non-commercial license, free download and no catch. Seriously, not even a mandatory newsletter sign up :). Just click the link and download! You will download a ZIP package. Mobile devices may not be able to do anything with it, so be sure to sit on your PC, Mac or laptop to download it. Then you can unpack it, and you will see a couple of mp3 files inside. 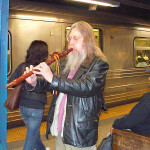 I’ve created two simple backing tracks, each one modulated for five different flute keys. It’s not much but it’s a start. What’s interesting, if you can find a friend who owns another Native American flute in specific key, you can play together and create simple form of harmony based on simple intervals. This is what we use Wheel of Fifths for, but this is a subject for another article. 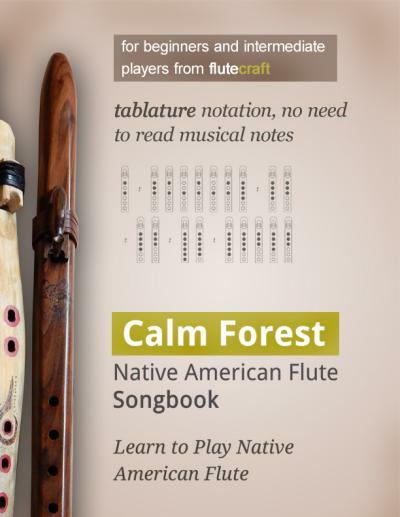 If you enjoy this article and free goodies (backing tracks), and you want to support FluteCraft, you can purchase my songbook, “Calm Forest”, simply donate via PayPal (link in the footer), or simply do your shopping on Amazon through my affiliate links. Thank you!